Who Will Win the 2019 E3 Spark Plugs Pro Mod Championship? Not only does E3 Spark Plugs return as the title sponsor of the 2019 NASCAR Pro Mod Series presented by J&A Service, a very competitive field of drivers are set to do battle once again. The twelve-event Pro Mod schedule kicks off in mid-March at one of the NHRA's longest standing events, the 50th annual Amalie Motor Oil Gatornationals at the newly paved Gainesville Raceway. Featuring both supercharged and nitrous-powered 3,000 horsepower engines, the doorslammer class has been a fan favorite for years with impressive new names as well as some savvy veterans on tap for the 2019 championship season. MIKE JANIS - Among the preseason favorites to take top honors in 2019 is the reigning E3 Spark Plugs Pro Mod champion Mike Janis. Janis joined the Pro Mod division back in the 90s during the inception of the class. Janis is the second winningest driver in Pro Mod history and a two-time Pro Mod World Champion that has finished in the Top 10 in points for fifteen consecutive years. 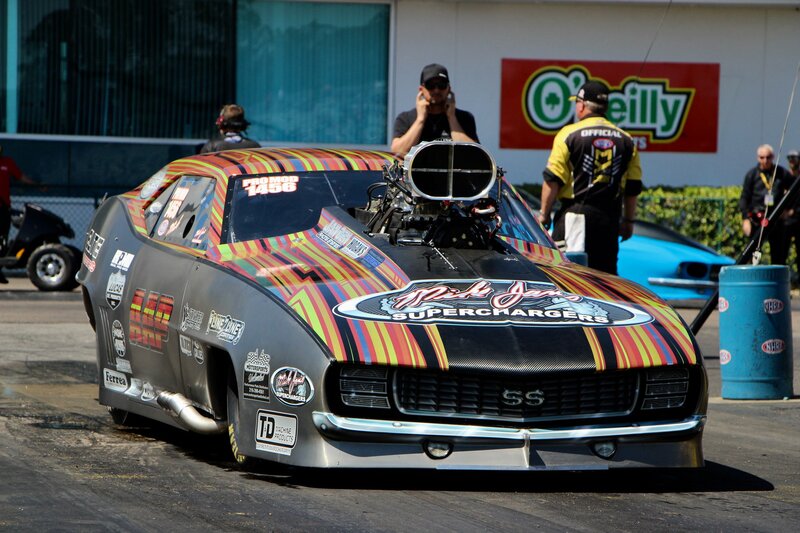 Janis failed only once to qualify for a Pro Mod event during his 2018 season. RICKIE SMITH - A multi-time (2012, 2013, 2014, and 2016) champion in the doorslammer class, 65-year old Rickie Smith is member of the Bahrain 1 race team of Sheikh Abdullah. In 2016, Smith won the opening two rounds and maintained the points lead all the way to the Pro Mod championship. Smith had a strong start to his 2018 season with a decisive wins at the Gatornationals as well as the rain-delayed Heartland National and Summit Nationals. Smith finished last year's championship in second place just seven points behind Janis. MIKE CASTELLANA - With a runner-up finish in 2017 Pro Mod championship followed by a third overall finish in last season's championship, Mike Castellana has filled his trophy room with awards, such as his IHRA Championship in 2005, two ADRL championships; one in 2011 Pro Nitro, and then the Pro Mod class in 2013, plus he holds four Championship titles overseas. Sponsored by Al Anabi Performance, Mike typically sets the bar for top speed when he joins his AAP team in Qatar each year. The fast-and-furious doorslammer class offers exciting action for its growing fan base with something unique for every hotrod enthusiast. Highlighted by muscle cars to late models (e.g. - Mustangs, Corvettes, Camaros, Firebirds), today's Pro Mod drag car produces more than 3,000 horsepower from supercharged or turbocharged engines running on either nitrous or racing fuel. The bodywork for Pro Mod is basically regulated by the requirement for a suspended door with only a few additional restrictions. Cars post quarter mile times below six seconds with top speeds above 250 mph. The 2019 E3 Spark Plugs NHRA Pro Mod Drag Racing Series returns to action at Gainesville Raceway on March 14-17 for the 50th Annual Amalie Motor Oil Gatornationals. See you there!